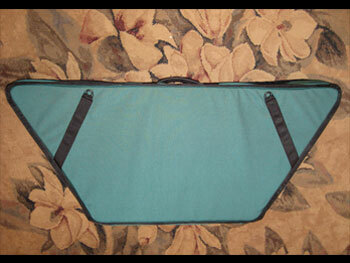 The Blue Heron Mountain Dulcimer case is made with our standard materials. This includes dense EVA foam padding sandwiched between a cordura nylon outer shell and ripstop nylon interior. All Blue Heron® cases feature a large #10 nylon coiled zipper with two long-lasting nickel zipper pulls for strength and ease of use. For portability there is a padded leather handle. The top of the case has a pouch pocket for storage. 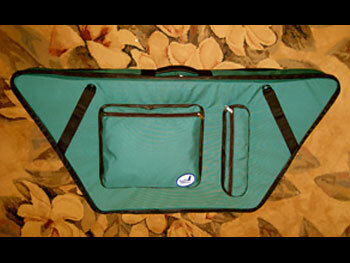 The back of the case has an adjustable shoulder sling and for convenience there is a D-Ring to hang the case. 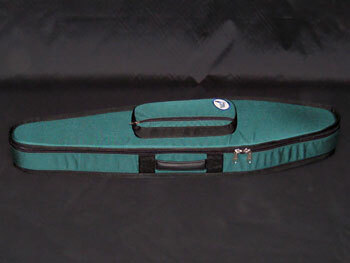 The Bowed Dulcimer case has all the same features as the Mountain Dulcimer case, and it also has a bow sleeve on the inside top of the case and a leather protector over the bridge. 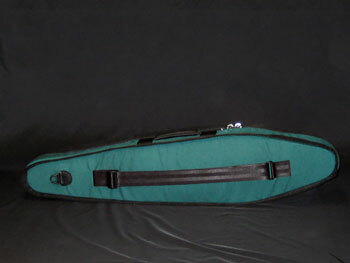 The Blue Heron Softshell Hammered Dulcimer case is made with our standard materials, and is custom fit to your instrument. This includes dense EVA closed cell foam padding sandwiched between a cordura nylon outer shell and ripstop nylon interior. 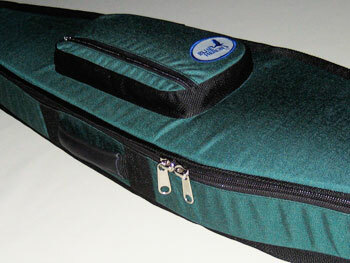 The inside top is solid cordura to protect the case from sharp string ends and bridges. For strength, durability, and ease of use, all Blue Heron® cases feature a large #10 nylon coiled zipper with two long-lasting nickel zipper pulls. Our Hammered Dulcimer soft case has a double strength padded leather handle, a zippered music pocket, and a separate narrow pouch pocket for hammers. D-rings on the top and bottom of the case allow choices for strap carry with a detachable shoulder strap that comes with the case. Hammered Dulcimer cases require a tracing and measurements of your instrument.